Your post was wonderful. I am at present enhancing/editing some illustrations for my husband’s new children’s book( “Jake, Little Jimmy and Big Louie” about a boy and two birds) that I have edited. 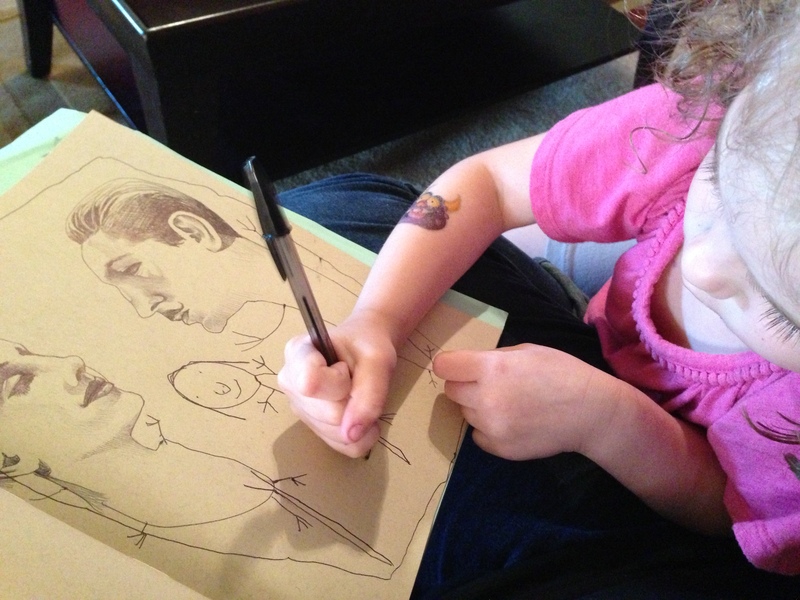 Our illustrator is our eight-year-old great-granddaughter. We don’t have the luxury of living in the same place but Hannah’s grandmother (our daughter) has read through the draft chapters with her and then oversees her drawings for each chapter, scans them in and sends us the JPGs. Sometimes the main characters look different from picture to picture so I am now using Microsoft Paint to adjust them for a uniformity of sorts without losing that special child’s perspective. What fun! I will then rescan the edited pictures at a resolution high enough for printing in the book. I also blogged most of the chapters little by little as they were being edited (leaving out the last chapter). The ensuing comments were helpful We will blog news on the future publication. I urge you to use at least some of your wonderful collaborations in a children’s book that perhaps you can write together. What a terrific contribution to children’s literature that could be! This entry was posted in Blogging, Blogging a book, Children's chapter book, Illustrations, Inspirational story and tagged children, children's drawings, family, independently published authors, raising birds. Bookmark the permalink. Thanks for your nice comments. Please keep on following our blog.